What a beautiful card! Your sentiment is wonderful and I love that it is part of your image as well!!! Another fab card Sylvie! I too love polka dots! Must try and get another card done this week!! Love what you've done with this Sylvie and the way you've incorporated the sentiment into the cake, brilliant! This is really pretty card. 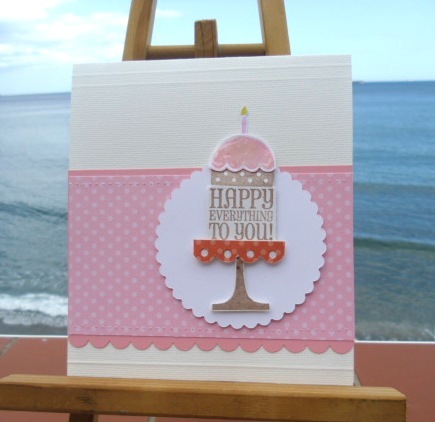 Cute card sylvia, I am loving the polka dots week too! A great use of this stamp set....I'm dotty about it!